Have you ever wondered about the Number Of Roses Meaning? This may come off as a surprise, but the meaning of roses isn’t restricted to the type and color alone. Yes, the number of stems in your bouquet also has a meaning of its own. Check out our comprehensive guide. We may no longer count the stems of roses in our bouquet these days. But years ago, a man would gift a bouquet of roses rich with hidden meaning. From he choice of rose variety, to the number of roses. This incredibly sweet gesture was actually a very common practice. It’s as if there is no shortage of ways to beautifully communicate your feelings to a loved one! 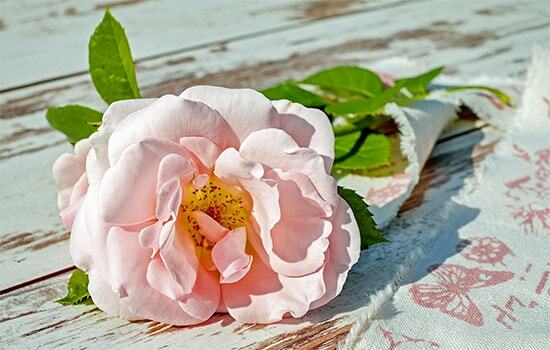 While you may easily find the meaning of rose variety given to you, the number is another thing entirely. If you were interested in finding out the number of roses and its meaning, you are definitely in good hands! Are you someone who is looking for a thoughtful gift for your loved one? In that case, our guidance will definitely help you find the correct number of roses to convey your feelings. Let’s start from a single rose. Interestingly enough, there is two different meaning behind this number. If you are in the beginning stage of getting to know them, it means love at the first sight. But when given a few years into the relationship, the gesture has a completely different meaning. It’s basically a ways to show that they are still the one after all these years. Two roses mean that the feeling is mutual. However, if you are looking for a touching way to say “I love you,” simply give them three roses. Six roses are typically given when you want to show them that you are deeply infatuated with them. In other words, it means that you would like to be theirs. Ready to take it to the next level? Nothing symbolizes eternal love better than giving them nine roses. It’s interesting how the number of roses and meaning can really symbolize what you are feeling, isn’t it? But there is more! If you would like to secretly show your feelings toward someone, thirteen roses symbolize secret admirer. Need a way to tell your loved one how perfect they are? Give them ten roses because they are definitely a ten. A bouquet of twelve roses is typically given to someone when you want to ask them to be yours. If you just made a mistake and would like to apologize, fifteen roses would get your point across. However, if your aim is to show sincerity, make that twenty roses. Showing dedication can be done by giving twenty-one roses. This number of stalk of roses meaning is interesting, indeed. But if what we have listed here does not cut it for you, don’t worry. Take it up a notch by telling them you’ll love them until the day you die with ninety-nine rose stems. But no other Number Of Roses Meaning true devotion quite like one-hundred roses!